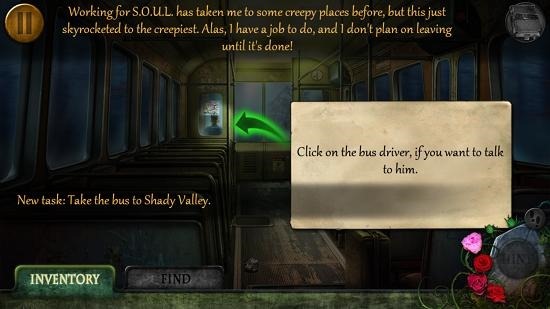 The Ghost Archives: Haunting of Shady Valley is a free mystery game app for Windows 8 and 8.1 devices. When you run the app on your device, you will be presented with the main screen of the game where you will be prompted to enter your name with which your profile will be created. 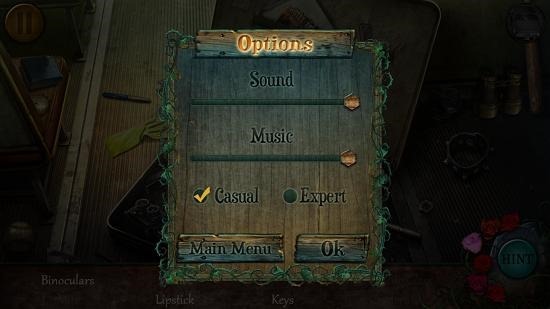 Clicking on the OK button will take you to the main menu of the game. Here you can choose the difficulty level of the game that you wish to play with. 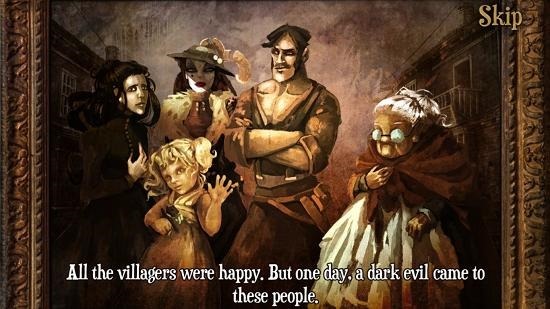 The Ghost Archives: Haunting of Shady Valley is available for free from the Windows App Store. Launching the game shows the below window. 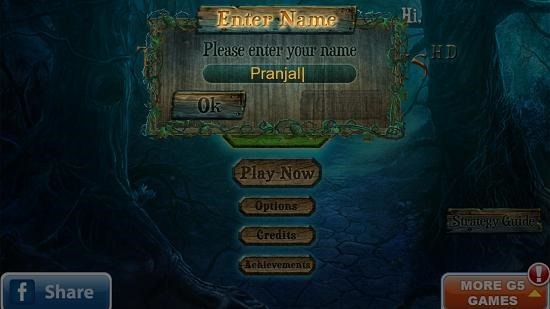 Upon entering player name you will be taken to the main menu where upon clicking the Play Now button you will be presented with the difficulty level selection screen. 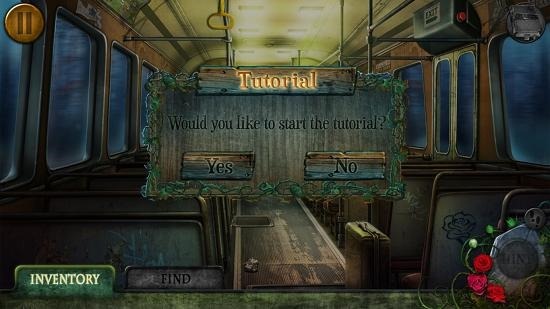 Once you have chosen the difficulty you will be taken straight to the intro video screen of the game. You can skip the video via the Skip button at the top right screen corner or you can choose to watch it completely. Once that’s done with you will be prompted if you want to start a guided tutorial or not. Here, you can see this in action. If you click on Yes button above, you will be taken to the tutorial interface as shown below. The tutorial screen will tell you how to interact with various objects on your screen. 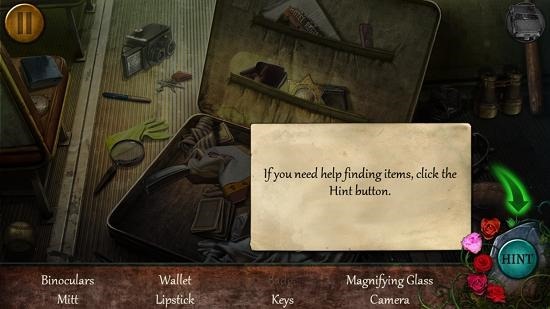 The game consists of various hidden objects levels too which make for a great way to challenge your mind. You have to click on the objects in the scene which are listed at the bottom of the screen. You can also access the Hints button if you find yourself stuck somewhere. You can pause the game by clicking on the Esc. button at any time. This concludes the main features of The Ghost Archives: Haunting Of Shady Valley HD. The Ghost Archives: Haunting Of Shady Valley HD is a great mystery game for Windows 8 and 8.1 which although is a bit on the heavy side but makes for a good download on devices running Windows 8 and 8.1. You can get it from the link below. Get The Ghost Archives: Haunting Of Shady Valley HD.